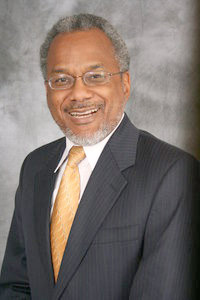 Most of you have heard the news by now that Amos Brown, community leader and radio host, has passed away. It was shocking news as Brown appeared to be the picture of health until felled by a heart attack while visiting family on Friday. I thought very highly of Brown. He certainly stood up for the African-American community in Indianapolis, giving them a much-needed voice through not only his radio program but his frequent columns in the Indianapolis Recorder. Brown insisted on holding public officials accountable. Whether it be about the parking meter deal, Blue Indy, or the proposed Criminal Justice Center, Brown was unwilling to simply regurgitate the talking points provided by civil leaders. He did his research and asked questions, tough questions. Those questions became so difficult for Mayor Greg Ballard that he boycotted Brown's program. ﻿﻿A few years ago, I was walking out of a meeting in Pike Township with Brown. Our conversation turned to Republican Senator Scott Schneider. Brown told me how highly he thought of Scott and the entire Schneider family. I asked Brown how that could be since he is the polar opposite to the politically conservative Schneiders. Brown said it was because the Schneiders were always upfront with him on who they are and what they stood for. He admired the Schneiders' honesty and integrity, even though he vehemently disagreed with their politics..
That also sums up how I felt about the Amos Brown. The Indianapolis political world is a place where you often can't tell Republicans from Democrats without a score card. Insiders run the political game deciding how to divvy up the spoils of government. Into that realm steps Brown asking tough questions, giving a voice to the powerless Indianapolis voters who in the past several years have faced never ending tax increases. As a liberal Brown didn't have a problem with higher taxes. But Brown did have a problem with the revenue from those tax increases constantly being diverted by political insiders for corporate handouts instead of the city services Brown pleaded that Indianapolis residents needed. Brown always talked about his serving people on "his side of the street," a term he used to refer to the African-American community in Indianapolis. But in reality Brown did a service for my side of the street as well, indeed for all Indianapolis residents. He will be sorely missed. RIP Amos Brown. Yes, Paul... whether we disagreed with Amos Brown, which I admit I did from time to time, Amos was an upfront kind of guy I greatly admired for his genuine persona. He asked many of the hard questions the politicians feared; his interest was with "the people" not the corrupt attorneys and the impotent grand-standing politicians pretending to care about Indianapolis voters. Corrupt mayors feared him... that was Amos' gift. Indianapolis is poorer in so many ways with his passing to the next Life. Godspeed, Mr. Amos Brown!
" As a liberal Brown didn't have a problem with higher taxes." So long as someone else was paying those taxes, hopefully, no one he ever knew or associated with. That approach is, on its face, dishonest, in my opinion. My last conversation with Amos was about Common Core....and his knowledge of its pitfalls was very superficial. This is not to speak ill of the dead as such is not good practice but often enough at requiems those doing the preaching describe a person who is not recognizable.